Alcohol and wine: What’s in a number? First published in The Irish Times, Saturday 6th October, 2018. For many wine drinkers, the most important part of a wine label is not the producer name nor the grape variety, but the percentage alcohol. A decade ago, big turbo-charged wines were all the rage; now we are all looking for something a bit less alcoholic. But do we think light and elegant but actually prefer something a little more full-bodied? Lynne Coyle MW, wine director at O’Briens, believes that while many wine drinkers ask for wines that are lighter in alcohol, in practice we prefer wines with a little more oomph. Wine is all a matter of balance. You will barely notice the alcohol in a hearty 15 per cent red provided it has enough fruit, acidity and other components. If you feel an alcoholic burn, then something, usually the fruit, is missing. The hottest wine-producing regions are responsible for the biggest wines, and the coolest tend to make the lightest, most refreshing wines. A producer in a warm region can harvest earlier to keep sugar (and therefore alcohol levels) down; in cooler areas, a winemaker can pick later, or even add sugar to boost alcohol by 1-2 per cent. Low alcohol wines (typically 5-8 per cent alcohol) do not seem to have a market in Ireland, possibly because too often they are very sweet and just don’t taste like wine. In my book, a wine of 10-12.5 per cent qualifies as light, 13-14 per cent as medium, and anything over 14 per cent as full-bodied. All wine labels must state the percentage alcohol by volume. 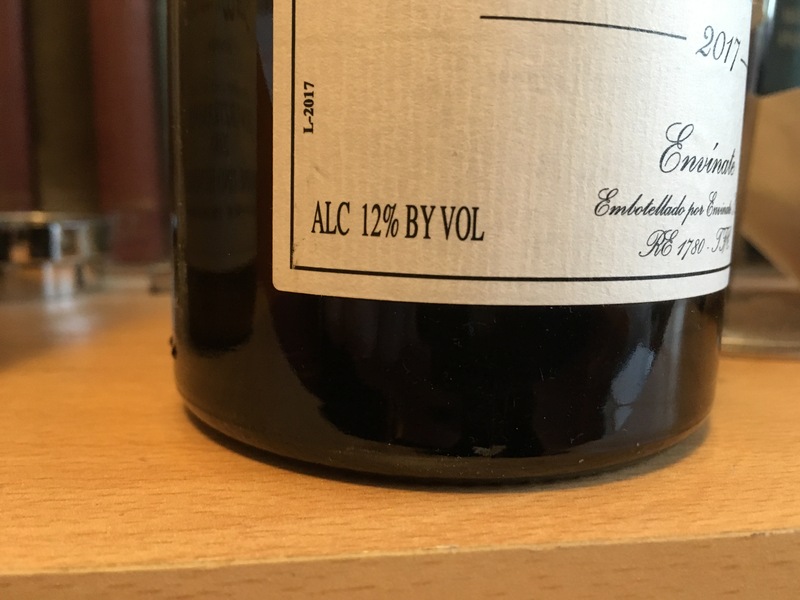 However, a wine producer is allowed a variation of 0.5 per cent either way, so a wine labelled 12.5 per cent could actually be 13 per cent (or 12 per cent). I sometimes wonder how strictly the law is applied. A light red wine will taste fresher and more acidic; it has a very different structure to a more full-bodied wine and can be served cool or even chilled. But we really enjoy the richness, texture and warmth that is provided by a little more alcohol. As winter approaches, we start looking at the bigger reds, Châteauneuf-du-Pape, Amarone, Bordeaux and Australian Shiraz. White wine is a very different market; the fashion is for zingy, fresh unoaked wines at 12.5–13 per cent all year round. However, as Coyle points out: “Wine is not meant to be consumed on its own for hours on end. It should be drunk with food, and alongside water.” Then the level of alcohol matters far less. This week, four perfectly balanced medium-bodied red wines. A big smiling mouthful of wine; layers of smooth ripe dark fruits with rounded tannins on the finish. This will go down nicely with most red or white meats, grilled lamb chops, or baked mushrooms. This is an elegant, toothsome Bordeaux with spicy aromas and very agreeable balanced blackberry and red cherry fruits. Nice price too. Steak, served with a red wine and mushroom sauce, would be the local favourite. Charming sweet/sour morello cherry fruits with a silky, almost lush, texture and a well-rounded finish. Recommended with prosciutto/salami and some crusty sourdough. Very moreish sweet, soft, ripe jammy fruits with exotic spices that evolve and improve with every sip. A warming stew of beans, pork and chorizo. A little bit of everything probably describes Austria best; or maybe small but perfectly formed. Austrian wine production is minuscule in world terms, but varied and of a very high standard. Most of us are familiar with Grüner Veltliner, Austria’s calling card, but there is so much more to discover and enjoy. On the downside you won’t find much cheap wine, although both Aldi and Lidl have had the occasional bargain, and O’Briens sometimes promotes the wonderfully named Zull Lust in red and white. But the country is just too small to compete on price. The good news is that most of Austria’s wines – sparkling, white, red or sweet – are consistently of a very high quality. They are also unique. A visit earlier this year served as a welcome reminder of just how great the wines are. The vineyards, all on the eastern end of the country, are very accessible (in Vienna you can even visit some by tram or boat), often ridiculously pretty and usually very welcoming, too. So what to look out for? Grüner Veltliner is always unoaked, usually low to medium in alcohol, with good acidity and plump, slightly spicy, green fruits. It is ideal for Sauvignon and Pinot Grigio drinkers who want to experiment a little, or simply as a wine to sip on its own. Riesling, again always dry, is more like Alsace than German – medium-bodied and racy. You will also find excellent Sauvignon Blanc and Chardonnay, usually from Styria down on the Slovenian border. The Pinot Blancs from Prieler (see below) are as good as any I have tasted. That is the whites; with red wines, Blaufrankisch is winning all the praise at the moment, but Zweigelt and Sankt Laurent can also produce impressive wines. These days, most Austrian reds are light in alcohol, fresh, vibrant and full of refreshing fruit. Austrian cuisine may not have a great reputation here, but the wines, white and red, go really well with a wide variety of dishes from around the world, making them great restaurant wines. More forward-thinking establishments now list a Grüner Veltliner (and sometimes a Riesling too) from Austria. Less easy to find are the great wines of Austria. The aforementioned While Grüner Veltliner, Riesling and other varieties are capable of reaching great heights. 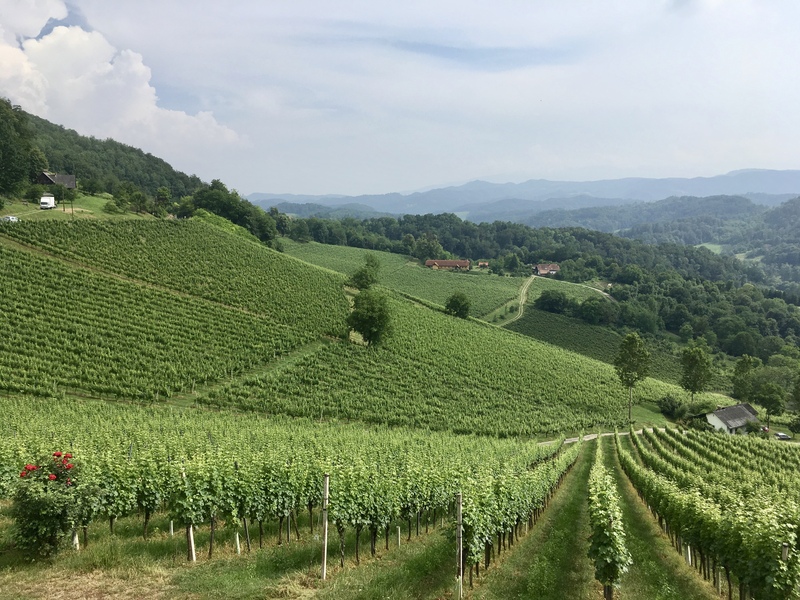 Erste Lagen, roughly similar to a Burgundian premier cru – is a serious effort by quality-minded Austrian producers to define their greatest vineyards. They are not cheap but can offer value for money compared with white Burgundy of a similar quality. We may not see many of the top wines here in Ireland, but the lesser wines from great producers – Malat, Bründlmayer, Ott, Schloss Gobelsburg, Hirsh, Birgit Eichinger – are available here. This week, four different grape varieties, all producing uniquely Austrian wine. Racy green apple fruits with sparky ginger spice and lemon zest. Free-flowing, fresh and dry. Lovely on its own, or with lighter seafood dishes. Ripe peaches, beeswax and meadow flowers in a distinctive, gloriously textured, lightly creamy, dry wine. Fish in a creamy pie. Biodynamic. Mouthwatering, juicy, brambly dark fruits with a lightly tannic, dry finish. There is a lightly spicy, earthy touch, but this wine is all about the crunchy fresh fruits. Perfect with pork dishes, terrines and pâtés. Or keep it Austrian with a schnitzel. Lightly spicy wine with juicy pure refreshing tart damson and blackberry fruits. Biodynamic. Drink with something fatty – barbecued ribs or a pork pie. Do you drink port every Christmas and ignore it the rest of the year – even though you love it? Or do you blame it for that hangover, conveniently forgetting prior consumption of alcohol earlier in the evening? Port has successfully moved on from our image of crusty old colonels swigging a glass in the library. Nowadays, you are more likely to find younger diners trying a chilled Tawny with their dessert, drinking a long summery cocktail made with white Port, or even sipping a glass of iced pink (rosé) port. 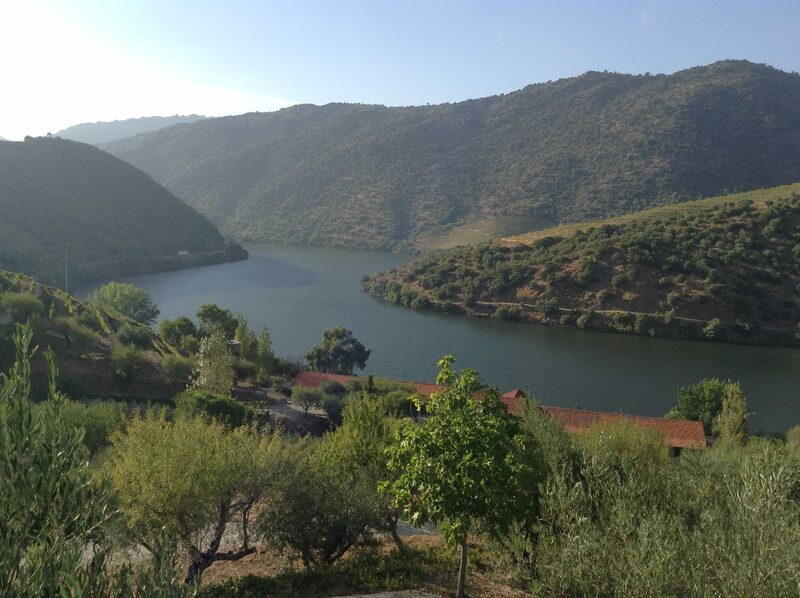 Not only that, the Douro Valley, where all port grapes are grown, now produces very good red and white table wines too. I feature one below. However, as autumn begins to bite, there are few things more warming and comforting, than a glass of port with a few hunks of cheese, a handful of walnuts, or possibly a few squares of dark chocolate. The big daddy of them all is vintage port, made, as the name suggests, with wine the very best wines from one single excellent year. A port house tends to declare a vintage roughly every five years. In the intervening period, a producer may release single quinta ports, made from one single vineyard in a good but not outstanding vintage. Single quinta port can offer great value; it is often a match for vintage port, drinking earlier, but often lasting for an equally long period. Vintage port matures and improves for decades (I am still working on my 1970 and 1977 Fonseca); it is therefore the ideal gift for a godchild, child, or any other young relative – or as a wedding present. You can be pretty sure good vintage port will last as long as they do. If you neglected to buy your godchild some port, there are still plenty of vintage ports available, provided the recipient, were born in the right year. I can vouch for the wonderful, elegant Taylor’s Vintage 2007 (€145) and the hedonistic lush, spicy Fonseca 2009 (€155). Both can be drunk now or at any time over the next two decades, and should be available from the same stockists as the Taylor’s below. Chris Forbes, of the Taylor Fladgate group, visited Ireland earlier this month, showing three 2016 vintage ports. I would love to have a few bottles of Taylor’s or Fonseca in my cellar. Tawny port is aged in barrel (as opposed to bottle for vintage ports) and therefore needs no decanting. Try it chilled with desserts, or hard cheeses such as Manchego, and Parmesan. If decanting bothers you, maybe you should invest in a Coravin, which will allow you to withdraw a glass of mature vintage port without opening the bottle – restaurants please take note! Very stylish ripe youthful powerful black forest fruits, with nice grip and real length. Decant before serving. Confit duck with some creamy mashed potatoes. Mature figs, nuts and orange peel mingle with fresher cherry and blackcurrant fruits. Serve cool or lightly chilled with pâtés, firm cheeses, or rich cakes and puddings. Smooth and rich, with an explosion of figs, walnuts and pure damson fruits edged with spice. With any firm or blue cheese. Supremely elegant with wonderful pure damson and blackcurrant fruits, good acidity, and plenty of tannic structure. Deceptively drinkable now, but you should really keep it for 10-30 years. In a move that has already upset the purists, German supermarket Aldi has launched an orange wine, priced at an incredibly cheap €8.99. Not just orange either, but natural and organic as well. What is orange wine? Firstly, it is not made from oranges. I came across it back in 2005, in Slovenia, where the winemaker described it as “white wine made like red wine”. Orange wine is made by macerating or fermenting white grapes on their skins for a period, as a winemaker normally would with a red wine. They taste very different, with the freshness and acidity of a white wine and the grippy dry tannins of a red. Some have light red fruits, others are sherry-like, sometimes with grilled nuts and, usually, a pithy quality. If that sounds strange, it is. Not all orange wines are natural, but some are, made using organic grapes in a oxidative way which adds to the general funkiness. Orange wine is drunk at room temperature, or slightly cool; serve it chilled and the tannins stick out. It has been making waves in the wine world, and now features on wine lists in fashionable restaurants, wine bars and independent wine shops. Some, including Ottolenghi in London, have an orange wine section on their lists. Adherents argue that it is the perfect food wine, able to cope with white and red meats, as well as smelly cheeses. Critics argue that they all taste the same, regardless of grape variety or origin. I asked two independent retailers for their thoughts. Gerard Maguire of 64 Wine said “we sell it but with difficulty – it is a challenge for consumers because it runs counter to our perceptions of how we think wine should taste”. “You have to learn to love it,” says Maguire, adding “it took me a long time to get it. Now I understand it but I don’t necessarily always like it”. However, he believes that “the Gravner wine ( see below) is spectacular; every wine lover should try it at least once”. Dave Gallagher of Green Man Wines agreed with Maguire: “It ticks away as a curiosity value, and has a following from people who want to try different things, but it will never be a mass market wine. It is too individual,” and he adds “reasonable expensive”. You don’t find many under €25, hence the surprise with the Aldi wine. My Slovenian producer, whose winery was close to the Italian border, had probably been inspired by Josko Gravner or Stanko Radikon, the first two winemakers to reinvent orange wine in the 1990s, although the Georgians had been making it for thousands of years. The Aldi orange wine was made in Romania by Cramele Recas, a very large, modern go-ahead winery. Made from organic grapes, fermented without added yeasts or sulphur, and bottled unfiltered and unfined. Made from a blend of Chardonnay and Sauvignon Blanc, this has light apricot and orange peel fruits and pithy tannins. My bottle had a slightly off-note on the finish. Why not experiment with various foods? A lightly orange wine that I have featured before but the new vintage is even better; light orange peel, toasted nuts, lively acidity and fresh pear fruits. By itself or with Khachapuri – look it up, they are delicious. Partially skin-fermented this was slightly cloudy, with an intriguing mix of fruits; quince, apple and orange peel with a lovely hit of stewed fruits on the finish. Seven months in amphorae, seven years in cask; an unbelievable riot of flavours; nuts, butterscotch, sherry, dried fruits, lemon peel, peaches and so much more. Unique and fascinating. Does price matter when it comes to wine? As a wine writer, the question I am most often asked is “Do more expensive wines really taste any better?” The truth, as Oscar Wilde once observed, is rarely pure and never simple, so the answer is yes and no. Most of the time, we really don’t know how much money the importer and retailer are making; it can make a huge difference. But generally once you pay €10, wine does usually start to taste better; more fruit, more flavour and more interesting. Pay €15-€25 and you should notice a massive jump in quality; give a good winemaker enough money and the good ones can work wonders. Splash out anything between €25 and €50 you can get some really serious, complex wines that should knock your socks off. 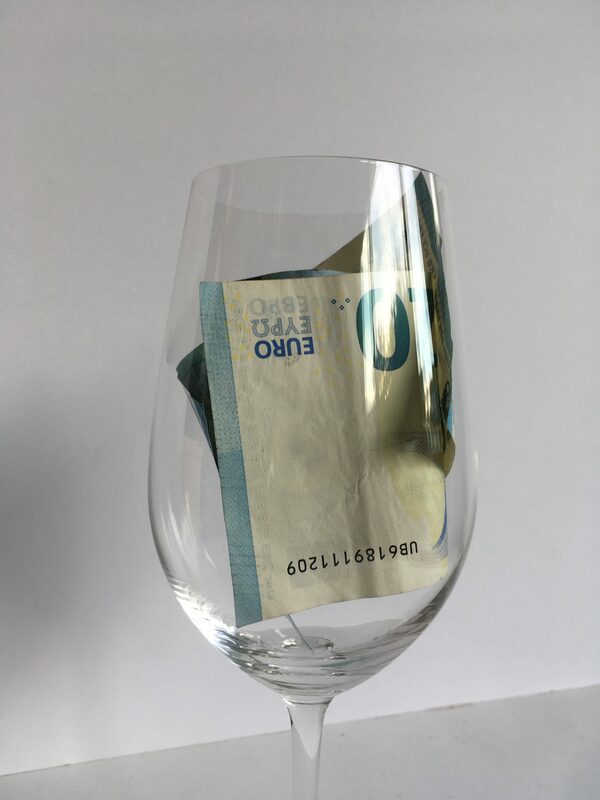 Above that you start to hit the law of diminishing returns; well-known wine regions around the world know their wines are in huge demand and in limited supply. But what about wines made with the same grape variety, and from the same region? I believe that if you spend an extra €5-€10, you will notice a difference. If you don’t, then I suggest that you stick to cheap wine. This week I give you two of the most popular white wine grape varieties at very different prices, so that you can conduct your own tasting. Sauvignon Blanc has been widely planted in parts of the Loire Valley and Bordeaux for centuries. Many other parts of the wine world have tried growing it with varying degrees of success. Chile provides us with plenty of inexpensive Sauvignon (apparently our favourite wine is Santa Rita 120 Sauvignon), the best wines coming from the Casablanca and Leyda Valleys. South Africa produces some excellent upmarket wines but nobody can match the success of Marlborough in New Zealand. Marlborough produces almost 70 per cent of all New Zealand wine, and Sauvignon Blanc accounts for most of that. Amazingly, the overall quality of wine has remained high, including those at €10-€12. I mentioned the Villa Maria a few weeks ago, and Dunnes Stores has the very tasty Rapaura Springs (€12.99, and Reserve €15.99). Older readers will remember a time when Cloudy Bay Sauvignon was the most-sought-after wine in the country. It is still there, producing good wine, although Dog Point, Greywacke and various single vineyard wines are probably better these days. Sales of Pinot Grigio have also exploded in recent years. The less expensive versions, usually from the Veneto in northern Italy, are lightly aromatic, vaguely fruity, unoaked and low in alcohol. Every supermarket will have a range, usually under €10 and often cheaper. Other parts of Italy, California, Australia and New Zealand have all tried their hand at Pinot Grigio. Look out for the Romanian Wildflower Pinot Grigio 2017 from O’Briens, €13.95, but a mere €8.95 on promotion (starting on September 24th). Lightly aromatic with soft, plump, ripe tropical fruits. Perfect party wine or with the classic combination of melon and prosciutto. Mouth-watering, fresh melon fruit with cleansing acidity and a bone-dry finish. What is Italian for vin de soif? Perfect with antipasti or spaghetti carbonara. One of the original Marlborough Sauvignons and a classic of the style; lifted gooseberry aromas, fresh lime zest and ripe green fruits. Drink solo or with soft goat’s cheese salad. Stockists: Widely available through the multiples, frequently on promotion. This is streets ahead of most Marlborough Sauvignon. Lightly aromatic, flinty and mineral with a vivid purity and excellent length. Good solo, but better with shellfish – prawns, scallops, crab or mussels, preferably combined with zingy lime zest and herbs. Stockists: The Cinnamon Cottage, Cork ; wineonline.ie; JJ O’Driscoll, Ballinlough, jjodriscoll.ie; The Corkscrew, Chatham Street, thecorkscrew.ie. I don’t think I have ever written a bucket list or settled on a deathbed meal. I like too many things, and in any case everything depends on the people around you. With wine, the greatest vintage from the finest estate will never match a modest glass in good company. I do know that my deathbed meal would include fish and shellfish, and lots of it. I live a few hundred metres from the sea and find it incredibly frustrating that I have to travel long distances to find decent fresh seafood – the greatest of which requires little or no adornment. Herbs and lemon or lime, mayonnaise or melted butter usually suffice. Some years ago the highlight of my small but perfectly formed stag weekend was dinner at Chez Youen in Baltimore, in Co Cork, where we devoured an enormous platter of plain shellfish, multiple bottles of Muscadet, and sparkling wine from Mas de Daumas Gassac. Crab would definitely feature in my meal, preferably cold, in a salad with mayonnaise, and mounds of herbs and citrus. As a child I was tasked with shelling freshly cooked crab for dinner. A few shards of shell merely proved its authenticity. Sadly I was too young to enjoy one of life’s great matches: crab and Riesling. The crab would not be pasteurised and tasteless, its richness countered by the zip and freshness of the Riesling. Austria, Germany and Alsace, in northeastern France, all produce great Riesling, but today I choose Australia, a country that produces a lime-scented version that is heavenly with crab. Mussels and Muscadet (or the delicious vinho verde below) might come before the crab, then fresh Atlantic prawns with a home-made lemon-garlic mayonnaise. I would find room for scallops, too, probably seared in butter. The prawns and scallops have a sweetness that goes perfectly with a creamy, fruit-filled Chardonnay. Then on to hake, which to my mind is superior to cod, salmon and all the basses and breams. 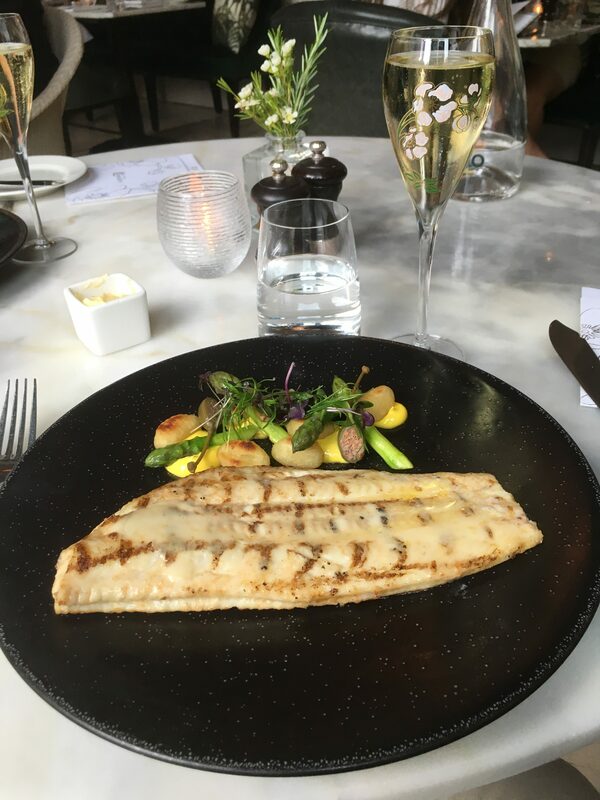 The only fish that compare are turbot, John Dory and black sole. Chardonnay would do nicely again, or an Austrian Grüner Veltliner, or maybe an Albariño from Spain. For most people the ultimate luxury is lobster. I prefer crab but will happily eat both. Recently, at a friend’s 50th, we ate lobster and drank Champagne – an indulgence that works so well. And only then would we start on the meat, followed by the cheese. 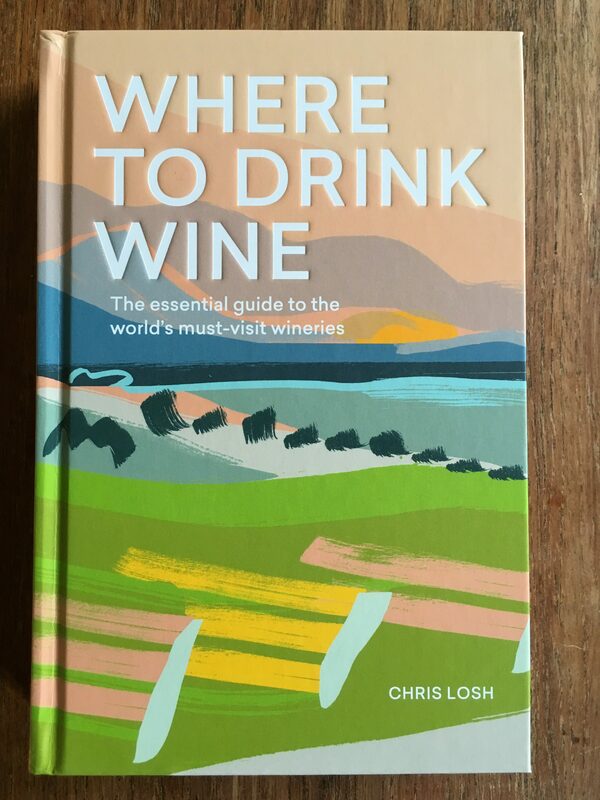 Three days after the article below appeared in The Irish Times, I was given a copy of this very useful book by Chris Losh, who has clearly put in a huge amount of work, traveling, meeting and tasting. Not only is there a brief introduction to each area, the author also picks out a selection of the best wineries to visit, with a brief rundown of what to expect. Others have tried this before, but tend to take the easy option, suggesting the obvious large producers with big visitor-centres and bland guided tours. Losh includes some of the big boys, but also plenty of smaller estates where you can expect a more personal tour and tasting. This is a genuinely useful well-written book that will make you want to pack your bags and head off to the sun-soaked vineyards of the world. Not all vineyards look great; some are simply vast fields of vines grown on arid flat plains. Thankfully many others take in some of the most stunning landscapes in the world. Beautiful vineyards don’t always make beautiful wine, but it certainly makes a visit a much more appealing prospect. Wine tourism is developing at a hectic rate to meet consumer demand for an authentic backstory. Clued-in wineries realise they are no longer simply selling wine; they are marketing a brand that includes their history, their winemaker, winery and region. Consumers can gain access to this through the winery website or through interacting with a multitude of other channels. Many producers not only offer tours but have turned them into a profitable sideline. So where should you visit? Possibly the most beautiful vineyard belonging to one producer is Rippon in Central Otago in New Zealand. The view out over the vineyards, the lake and islands, with spectacular mountains forming the backdrop, is stunning. Take a look online. The wines, sadly not cheap, are available in Whelehan’s in Loughlinstown. They are however very good, the Pinot is world-class. Most visitors to San Francisco head northwards to the Napa Valley. Napa is great, but tourism is very well developed and often expensive. I would suggest driving westwards from Napa to Sonoma County. I am not sure how the area weathered the devastating fires last year, but the pretty town of Sonoma, the picturesque valleys filled with mature forests and mixed farms leading on to the spectacular coastline is as memorable as any wine country. The wine and food here are equally good. I have visited Slovenia on several occasions. Most of the vineyards here (and in neighbouring Croatia) are picture-postcard beautiful. Think rolling verdant hillsides dotted with immaculately kept farmhouses each with a well-tended vegetable garden. The wines can be equally impressive. We Irish are regular visitors to South Africa. My sole trip is now a distant memory, but I will never forget the breath-taking beauty of the vineyards. Many areas boast beautiful verdant landscapes peppered with dazzling white Cape Dutch homesteads. Best known is Stellenbosch, but nearby Franschhoek took first prize for me. The Douro Valley in northern Portugal is a Unesco heritage site, and home to some of the most impressive, historic vineyards. But possibly my favourite vineyards of all are over the border in Spain, in Ribera Sacra in Galicia. There, the morning mists lying on the slow moving river slowly dissolve to reveal a series of narrow, impossibly steep crumbling terraces lined with ancient dry stone walls. At the top are verdant green forests. By happy coincidence, Ribera Sacra also makes some of the most compelling wines, from the Mencía grape, as well as others just being rediscovered. A lovely mix of fresh, juicy, ripe peach fruits, with a touch of spice on the finish. Perfect with grilled (or barbecued) sea bass or other fish. Ample sweet/sour dark plum fruits, with a touch of spice and a good dry finish. Try it with a rare steak. Pure unoaked Mencía from one of the best producers in Ribera Sacra. The more expensive single vineyard wines are stunning. This has clean savoury dark cherry fruits, a lifting acidity and a smooth finish. Serve cool with roast pork. Concentrated, vibrant, savoury yet ripe dark cherry and blackcurrant fruits with wood smoke and liquorice. Superb, sophisticated wine that can be drunk now but will improve for years. With roast lamb. First published in The Irish Times, Saturday, 18th August 2018. While the summer is still with us, another look at light whites. These are wines that may not fill the mouth with rich powerful flavours, but they more than make up for it with a subtle complexity that seduces and charms. Tasted quickly before dinner, my bottle of Soave La Rocca 2015 from Pieropan was pleasant, refreshing and light, but little more. It was only half an hour later with food that it slowly revealed a wonderful multi-layered character. A few retailers have told me we are starting to drink less, but drink better wine, very welcome news. Sadly this doesn’t seem to extend to light white wines yet. A bottle of Pieropan La Rocca will set you back €36.99 (Redmonds, Ranelagh, 64 Wine, Glasthule) but it is worth it. A vast quantity of Verdicchio dei Castelli di Jesi (usually sold in distinctive fish-shaped bottles) is produced each year. One producer alone, Fazi Battaglia, makes three million bottles annually. Verdicchio is a grape variety that generally produces refreshing wines with good acidity. If you restrict the yields and have the right soil, the wines can be subtle but excellent. Increase the yields and you get a decent crisp fresh dry wine, usually with a slight fizz. At entry level, Lidl should have a few bottles of its version of Verdicchio for €7.99 as part of its Italian wine sale. There are plenty of very high quality wines too, including San Lorenzo (€23.70, SIYPS.com, Sheridan’s Cheesemongers) and Bucci. The Bucci wine below is excellent but the Riserva (€41), one of my desert island wines, will keep and improve for decades. Verdicchio goes well with lighter herby foods, antipasti, risotto primavera, prawns with linguini, or pesto Genovese. I have always loved the pure, refreshing flavours of Muscadet. I even like some of the cheap stuff. Real Muscadet has been enjoying a welcome mini-revival recently. The less expensive versions make the perfect summer drink, light in alcohol with satisfying plump mouth-watering zesty green fruits. Move up a gear to the best single estates and you can enjoy some brilliant, expressive wines; at €20-€30 they may seem expensive, but they are certainly worth it. Muscadet goes well with seafood, a platter of fruits de mer, some oysters or a bowl of mussels. All of the multiples should have a Muscadet, including Tesco (€10) and SuperValu, who offer two, one at €9/€12 and the tasty Domaine du Haut Bourg (€12.95). Mary Pawle (marypawlewines.com) has the fascinating sulphur-free Muscadet L’Air Innocent 2015, Vin Nature, Domaine de la Fessardière for €18.60. Light refreshing green apple fruits with a crisp dry finish. Perfect with a bowl of moules marinière and a few hunks of crusty baguette. Plump rounded apples and nectarines with lively lime zest bringing it to life. With mixed antipasti or pesto Genovese. From the best producer in the region, an exquisite elegant wine with floral aromas, light vanilla, almonds and green apple fruits, and a lingering finish. Lovely with linguini with prawns, lemon and parsley. A superb mineral-laced wine with rich, elegant textured maturing fruits and the 2016 sur lie (€14.95) is also worth trying. I am wary of books that promise to take the mystery out of wine. Wine is actually quite complicated. This may explain why many people learn to love a few grape varieties – Sauvignon, Pinot Grigio, Malbec, Cabernet Sauvignon – and ignore everything else. I have sympathy for this way of thinking. I use it myself in many other walks of life. But there are said to be between 5,000 and 10,000 varieties of Vitis vinifera, the wine grape. Few of us will have heard of the most widely planted variety of all, Kyoho, which is found mostly in China. 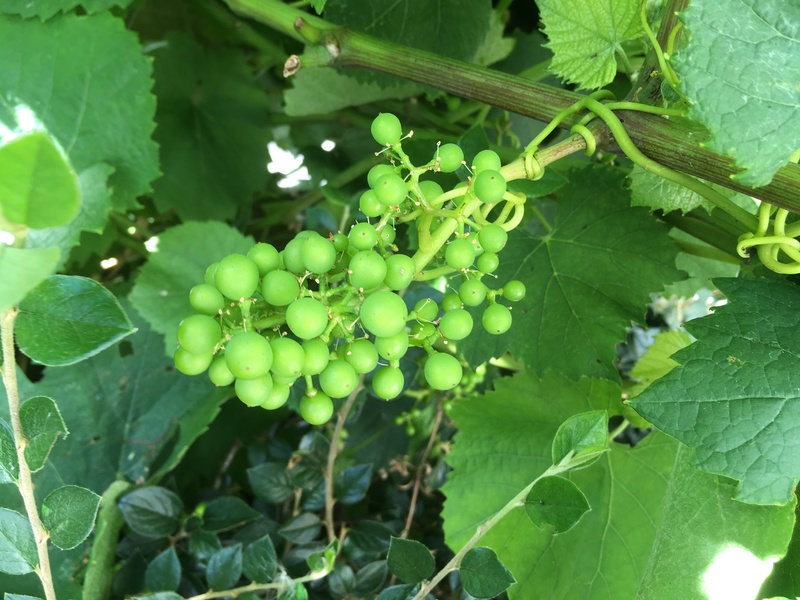 As much of that crop is used for eating rather than drinking, we are more familiar with the next four most widely planted Vitis vinifera varieties: Cabernet Sauvignon, Merlot and then two found almost exclusively in Spain, Tempranillo and Airén. There are very good reasons why some grape varieties remain little known: the wines they produce are not great. But plenty more are unsung heroes that deserve greater recognition. 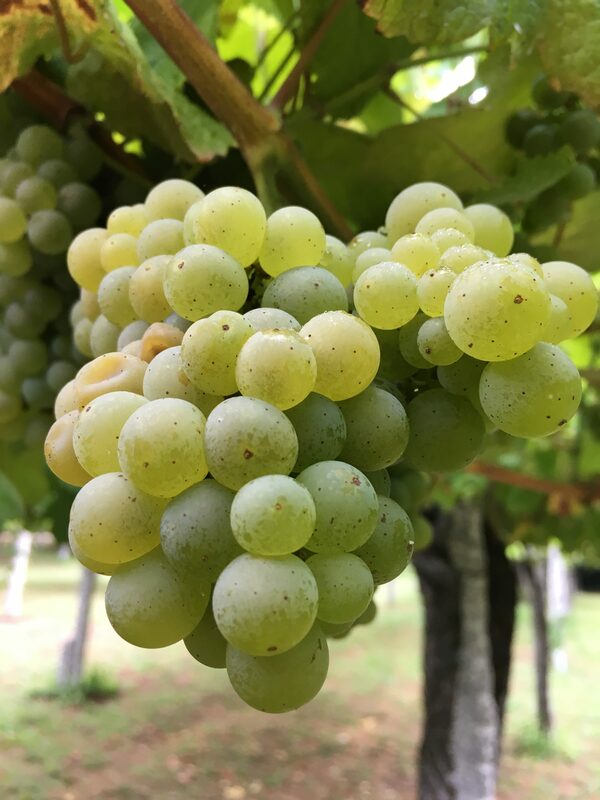 Marsanne, for example, is a full-bodied aromatic grape found mainly in the northern Rhone Valley, although plantings have spread out into Languedoc. It usually gives good yields – hence its popularity – but can lack acidity. Because of this it is often blended with more floral varieties, such as Roussanne, that also provide acidity. Marsanne reaches its peak as a blend in white Hermitage, from the Northern Rhône, and at the Tahbilk winery, in the Australian state of Victoria. The Aldi version below won’t quite reach those giddy heights, but it is well worth trying. I don’t think I had heard of Dafni until I tried it at a tasting last year. 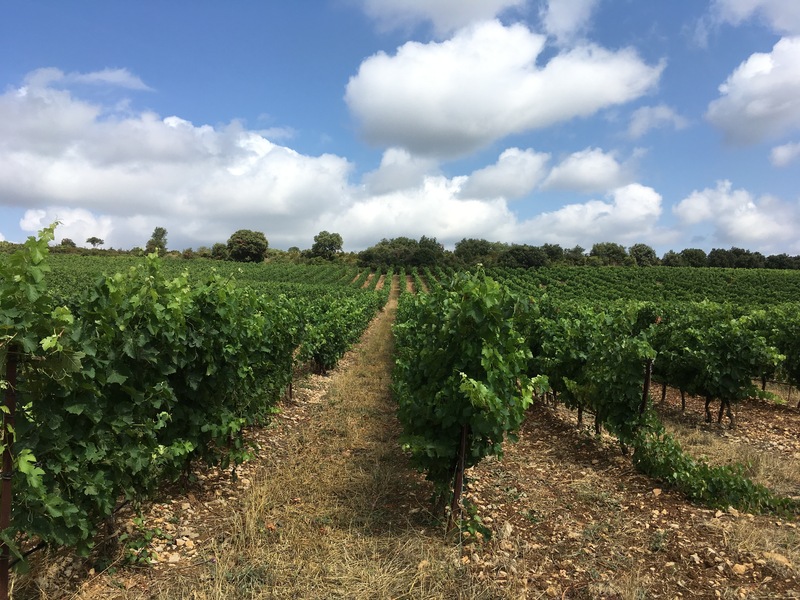 Lyrarakis is a family-owned company based in Crete that has made a name by rescuing local ancient grape varieties from obscurity. Dafni gets its name from the Greek word for laurel or bay leaf, and the wine certainly has a pleasant herbiness. (The winery also produces a delicious Assyrtiko.) I don’t see Dafni becoming the new Sauvignon Blanc, but it also deserves a try. Aglianico typically produces firm, dry, austere, tannic wines that need years to reach maturity. It is grown in the Campania region of southern Italy, most famously around Taurasi, but you will also find it growing on the dark, rich volcanic soils of Monte Vulture, in the neighbouring region of Basilicata. If that description sounds scary, don’t worry; the wine below is a very approachable early-drinking version. The fourth wine is made primarily from the obscure Mandó grape, which was rediscovered by Pablo Calatayud, who owns Celler del Roure, in Valencia. Earlier this year I wrote about his excellent Vermell. Both that and the Safrà below are aged in ancient clay amphorae before bottling. Ripe pears and peaches on nose and palate, finishing bone dry. Great everyday summer drinking by itself or with fish. An intriguing wine with notes of bay, rosemary and wild thyme that blend in nicely with lemon zest and a reviving acidity. One to try with a herby Greek salad, grilled Mediterranean vegetables or herb and lemon chicken. Smooth, rich dark-cherry fruits with chocolate and a rounded, easy finish. Perfect with grilled or roast lamb. Gorgeous wine with a delicious combination of fresh, piquant red-cherry fruits and a subtle rustic earthiness. Drink coolish with paella. Graham Norton wines: Are they any good? We all know that wine helps conversation flow at parties and dinners, but regular viewers of the Graham Norton Show will be aware that Norton, and sometimes his guests, can be seen sipping a generous glass of white. The chat-show host has gone a step further, and has a hand (or a mouth) in making the wine. You may have come across the GN wines in SuperValu and more recently Tesco. Produced in red, white, rosé and now sparkling, they have been flying off the supermarket shelves for several years. The idea for GN wines came from a New Zealand company called Invivo, set up in 2008 by former school mates Tim Lightbourne and Rob Cameron. Cameron had worked as a winemaker with Villa Maria in New Zealand, while Lightbourne worked in marketing with brands such as l’Oréal and Danone in Europe. “We caught up for a beer in London in 2007 and came up with the idea. Unlike many great ideas we actually followed through with it,” says Lightbourne. They knew Graham Norton enjoyed Sauvignon Blanc, and offered to supply him with their Invivo Sauvignon. A little later, they suggested to Norton that he become involved. “He has great enthusiasm and a great palate”, says Lightfoot. “He will say ‘I like this part but not that’. He rejects some samples. He talks about what he would like in his wine, instead of leaving it up to a winemaker. It is quite a unique way of making wine. We are about to make the 2018; he will taste 8-10 samples and blend to his taste”. The whole process is filmed and put out on YouTube. “The wine is quite different to our style with Invivo (also available from SuperValu). We get good points from the critics and win trophies – we are proud of the quality and would happily put it up against any wine.” Sales of the wine have tripled since 2015 and will top 3 million bottles this year. The Sauvignon was followed by a rosé, a Shiraz from Australia and now a Prosecco. For this, the pair flew out to Italy and tried out eight different styles from various producers. Norton prefers the drier style. The wine has just been released in Tesco. An exuberant fruit-filled Prosecco with refreshing red apples and pears. A great way to kick-start a dinner party, or with friends on a sunny evening. A classic Marlborough Sauvignon, with lime zest, textured mouth-watering green fruits and a lingering rounded finish. With some grilled scallops and a herby dressing, or a soft goat’s cheese salad. A very moreish appealing wine with fragrant aromas, juicy ripe raspberry and black cherry fruits, a refreshing acidity, finishing just off-dry. By itself or with lightly spicy chicken, prawns or salmon. Big rich rounded ripe plum fruits with a sprinkle of spice. Perfect with that barbecued ribeye steak or burger.